She Baby is back to doing music! 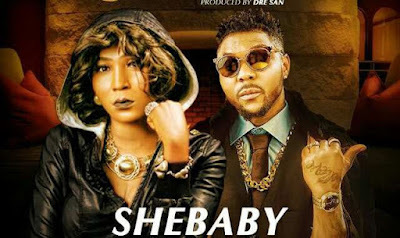 The singer who left the music scene for acting and subsequently for motherhood says she is back and already dropped a single, CHAMPION which features Oritsefemi. The actress who has been away from the industry for a while gave reasons for her actions and attributed it to motherhood. “When I left the entertainment scene; it was not as if I was not working but I was not as vibrant as I used to be. I was actually working and I shot a movie, it was just my music career that was put on hold and it was because I had a baby and I needed to dedicate my time to her. Motherhood slowed me down a bit. Now, my daughter is six years old. I don’t think being a mother can slow down my career. She goes to school and when she comes back, she has to attend lesson and her grandmother is also there to take care of her. I don’t go to the studio every day; neither do I shoot a movie every day. There is always a way out,” she said. » Is Anything Wrong With Yemi Alade Canvassing Votes For Tiwa?